Nothing can compare to the bond that one shares with their beloved canine pal. 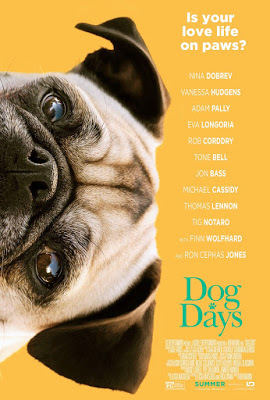 AnnaPurna’s Film DOG DAYS, opening Wednesday, August 8, 2018, highlights the everyday connections between people and their dogs. To celebrate the release of the film, we want to do something special. We want to see the love you share with your furry friend! On August 10, 2018, dog lovers around the country will be celebrating National Spoil Your Dog Day. We encourage you to post a picture of you with your dog on social media, using the hashtags #DogDays #Phoenix #SpoilYourDogDay on August 8 (day of film opening) and encourage your friends to post their pictures too by August 10th! There’s no better way to spoil your canine best friend and celebrate the opening of one of the most heartwarming films of the year.